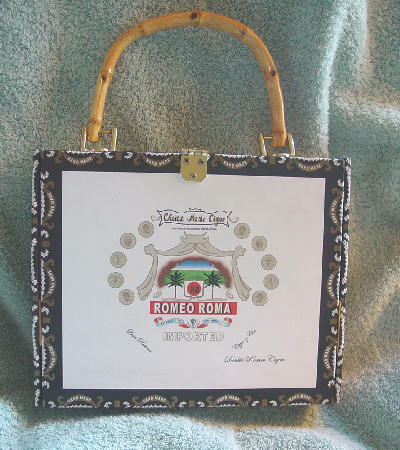 This Romeo Roma Imported Double Romeo Cigar box handbag has a faux bamboo handle. 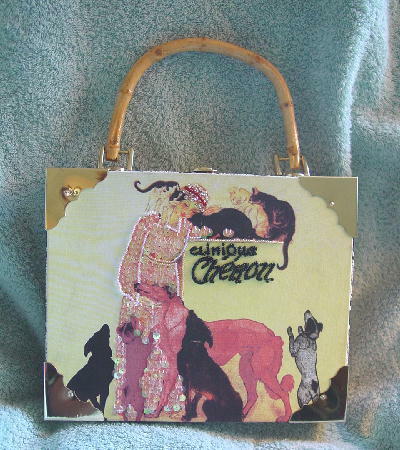 The front has a fabric covering in various shades of yellow with a woman with cats and dogs around her in black. gray, white, rust, yellow, and brown. There is a woman in a long dress with a rust background with clear iridescent sequins and tiny white and yellow beads. She's wearing a hat with tiny red beads and micromini gold-tone sequins on it. 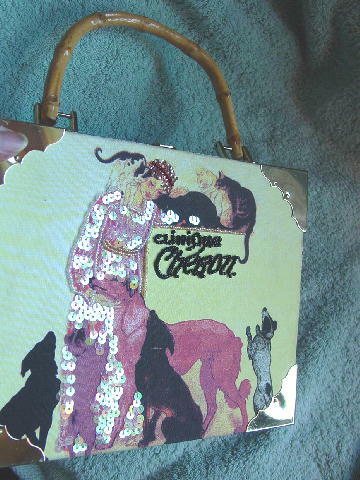 In black beads is written Clinique Cheron. The front corners have shiny brass metal corners. The rest of the cigar box is paper-covered. It has a slip hook upper lock. 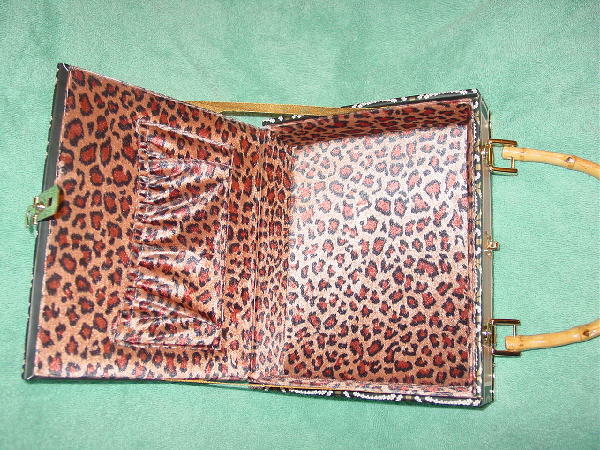 The interior is somewhat padded and is in an animal print in black and browns. The lid has an open pocket. The handle is attached to brass color attachments.